Top, Powerful, Massive and Economical DC / DC Orion Voltage Converter from Victron Energy, 24VDC to 12VDC 70A, without galvanic isolation. Very wide input voltage range 18-35VDC. Output voltage adjustable 10-15V. Parallel shifting capability to increase power output as well as remote on / off. Undervoltage protection. Devices to power a 12V device in places where there is only a 24V battery or other 24V power supply. 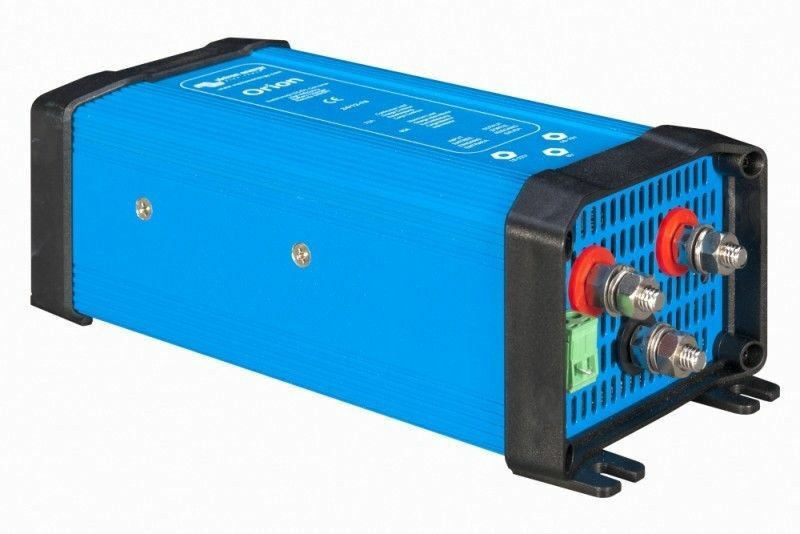 The widest range is found for truck and bus drivers with 12V electrical appliances, solar systems and other DC applications, especially with the emphasis on high operational stability, long service life and minimal internal consumption when empty (no load).